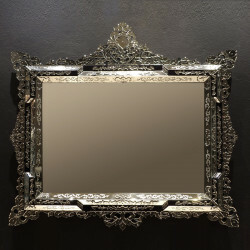 An impressive top quality Murano glass with a modern twist will make any room looking romantic with its ornate black frame elaborately designed to evoke high class appeal that still fits well with modern interiors. 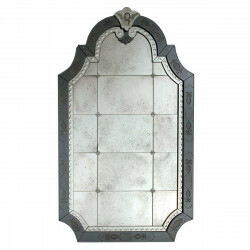 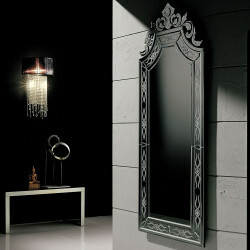 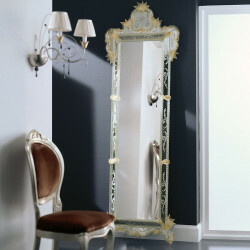 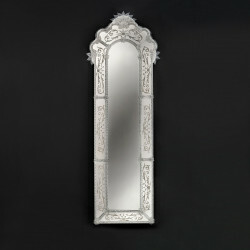 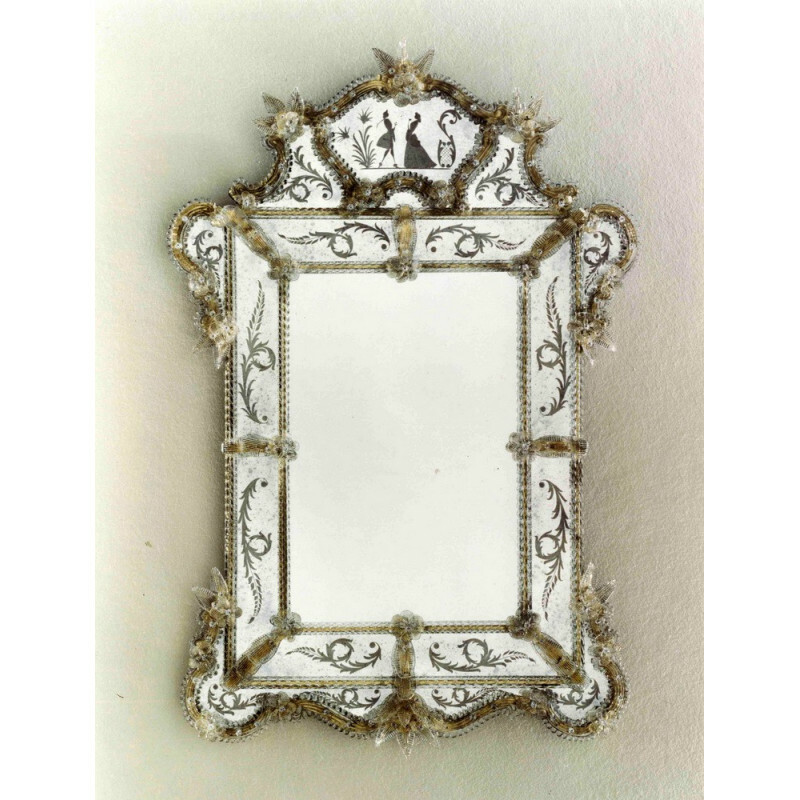 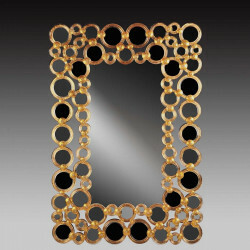 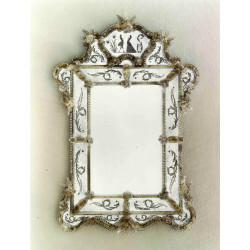 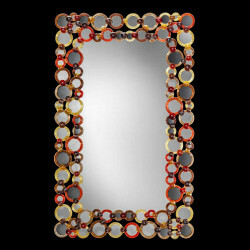 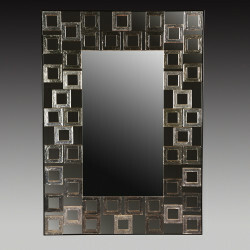 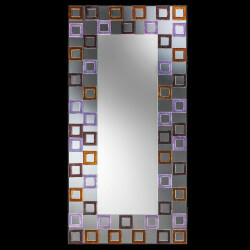 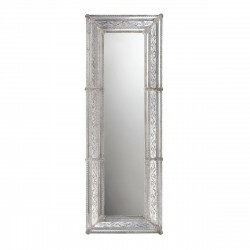 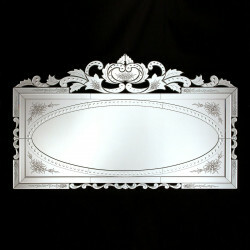 The hand engraved details add class and personality to this Authentic Venetian mirror. 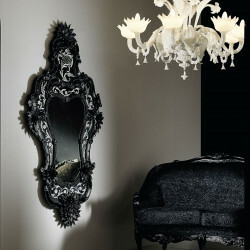 You will simply find this piece darkly romantic and impressive around your house.